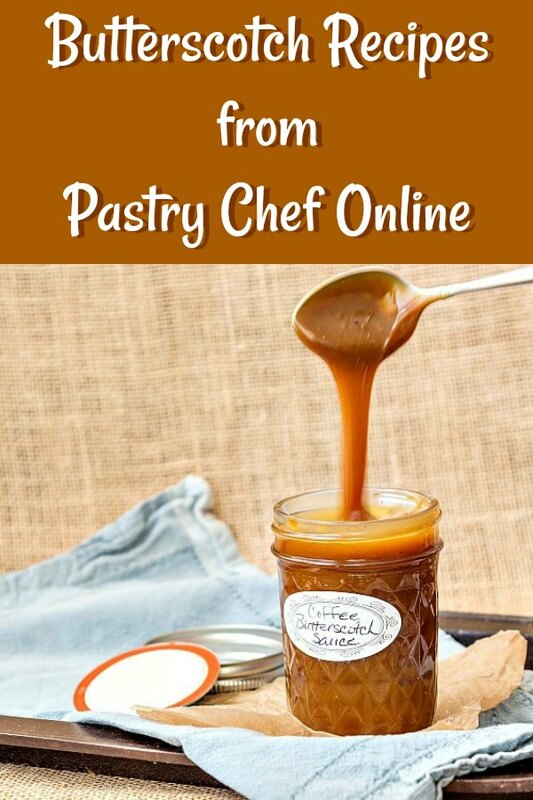 I have discovered that many folks find my blog searching for Butterscotch Recipes! And that makes me super happy because butterscotch is one of my favorite flavors in all the world. 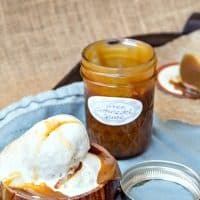 I’ve gathered all my Butterscotch posts and recipes together here, and whenever I post a new one, I will be sure to add it to this page. 5.5 Not Looking for Butterscotch? Don’t miss my recipe updates, guys. I promise not to pepper your inbox with emails. You’ll only hear from me if there’s a new recipe or if there’s a giveaway or something else cool you might be interested in. Done? Okay, once you have the basics of butterscotch down, you’re ready for butterscotch recipes. 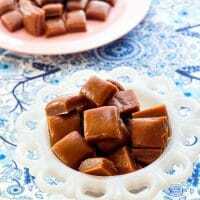 The first recipes are the most traditional and basic recipes for butterscotch. Then we’ll get into recipes that have butterscotch as a prominent flavor but aren’t necessarily butterscotch candy or sauce. 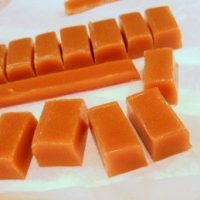 Based on a recipe from 1848, this recipe for authentic butterscotch candy contains only 4 ingredients, is well-balanced and chewy, and is easy to make with an accurate candy thermometer. Rich, creamy and perfect over ice cream, cake or any number of desserts, this butterscotch (made with, among other things, sugar, butter, molasses and salt) is the real deal. No short cuts, not that you need any since it only takes about 10 minutes to make! The hardest part of making butterscotch hard candy is waiting for it to cool. With a few tools and a few tips from me, you'll be making your own crunchy butterscotch candy in no time! 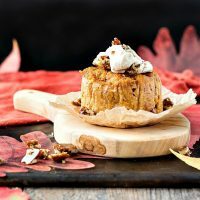 This creamy old fashioned butterscotch pudding can be served as is or folded together with whipped cream for a lighter texture. Either way, the butterscotch flavor is intense and perfect. 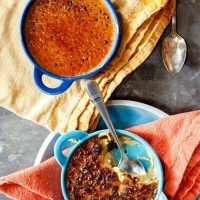 As if creme brulee wasn't decadent enough already, I gave it the old butterscotch treatment! Impossibly good, and impossible to resist! Like many old-fashioned candy flavors, butterscotch has a minimal list of ingredients and isn’t really very hard to make. Still, you will still need a few things. Here is a small collection of equipment that can make your candy making life easier. 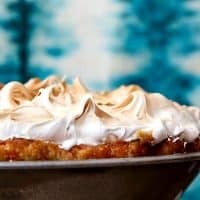 One of my favorite desperation pies, butterscotch pie is nostalgic, homey, comforting and so very tasty. I do hope you enjoy it--and if you think you don't like butterscotch, be prepared to change your mind. This cheesecake is for serious butterscotch lovers. 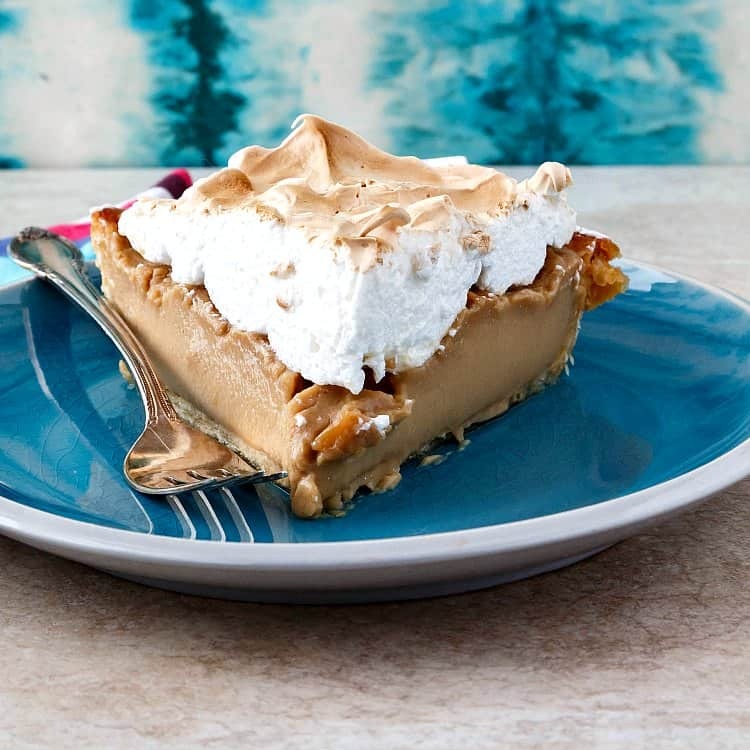 With brown sugar and butter in the gluten-free crust, homemade butterscotch sauce in the cheesecake batter and drizzled on top AND swoopy brown sugar meringue, this cheesecake is more butterscotch per square inch than maybe any other butterscotch dessert! 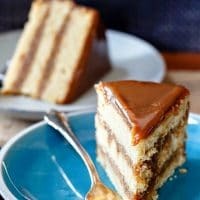 Similar to an old fashioned southern caramel cake, this butterscotch version is for serious butterscotch lovers only. 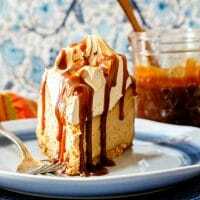 Check back often, because I’ll be expanding my butterscotch recipes repertoire. If you love butterscotch like I do, you won’t want to miss it! If you can’t find exactly what you’re looking for, try a custom search, and thank you for stopping in! And please, if you have any questions, don’t hesitate to get in touch via email. I’m happy to answer your baking and pastry questions!